Hybrids don’t come standard with automatic emergency braking and only show up in West Coast showrooms. The 2019 Kia Optima doles out great safety, good looks, and lots of features to rise near the top of the family-car ratings. 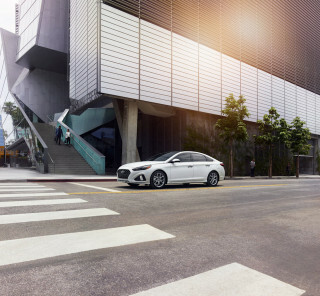 It’s not easy to stand out from the crowd, but the 2019 Kia Optima makes its mark among mid-size sedans with cut-above styling and a raft of newly standard safety gear not found on some of its rivals. The 2019 Optima’s nip-and-tuck styling update isn’t what will lure shoppers into showrooms; instead, a bevy of features such as automatic emergency braking, active lane control, and lane-departure warnings add to an already strong safety record. The 2019 Optima is available in LX, S, EX, and SX trim levels and a choice of three 4-cylinder engines paired to automatic transmissions. Hybrids and Plug-In Hybrids come in just one trim level, EX. New front and rear bumpers and revised wheel designs highlight the changes to a bodystyle that’s beginning to gray around its temples. The current Optima debuted for the 2016 model year. Inside, the dash has hints of flair and boasts an unusually high level of standard equipment. Kia hasn’t broken out full trim level details for the 2019 Optima, but the automaker has detailed the trio of infotainment systems available. The base system, dubbed Uvo Play, comes standard on the Optima LX and delivers Apple CarPlay, Android Auto, and a USB input. The Uvo Link system fitted to S and EX trims adds a number of apps that work with a connected smartphone, such as vehicle diagnostics, speed alerts, and geo-fencing. Optional on the EX and standard on SX, the Uvo Link with Navigation setup adds baked-in maps with two free map updates included. For 2019, the Optima SX can be ordered with red-and-black leather upholstery, while the range-topping Optima SXL will be available with a new two-tone bronze and black nappa leather interior. The Optima’s interior provides good room for four adults, albeit with limited rear-seat headroom thanks to the sloping roofline. At 15.9 cubic feet, the Optima’s trunk is about par for the mid-size sedan segment. Underhood, the 2019 Optima’s 4-cylinder engines carry over from last year. LX and S trims feature a 185-horsepower inline-4 mated to a 6-speed automatic transmission. 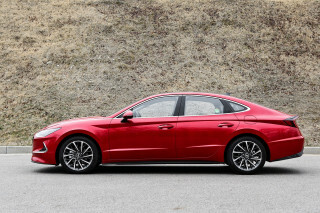 The Optima EX swaps in a 1.6-liter turbo-4 rated at 178 hp and a 7-speed dual-clutch automatic, while the SX goes full-tilt with a 2.0-liter turbo-4 and a 6-speed automatic. In the past, we’ve called the base engine perfectly adequate and we’ve heaped praise on the zippy 2.0-liter. The 1.6-liter middle child provides more torque (195 pound-feet) than the base engine (178 lb-ft), but its 7-speed dual-clutch has grumbled through some shifts in our testing. The hybrids adopt an inline-4 with batteries and electric motor assist for fuel economy in the 40-mpg range, without too much an effect on the Optima’s well-damped ride or its pleasant road manners. On the safety front, the Optima makes standard for 2019 what was optional last year: automatic emergency braking, active lane control, and lane-departure warnings. EX and higher trims add adaptive cruise control with stop-and-go. However, Hybrids and Plug-In Hybrids leave automatic emergency braking on the options list. A sporty profile and a handsome cabin lift the 2019 Kia Optima above the family-sedan pack. In 2011 Kia shifted how it thought about family-sedan style, and that has served it very well. Now in its second generation, with a handsome shape that emerged in the 2016 model year, the Kia Optima has an attractive look that’s worked well enough to loan out to Kia’s new sport hatchback, the Stinger. With the 2019 Optima, Kia remains on trend for mid-size four-door sedans. It wears a coupe-like roofline that complements its styling details well. It picks up from a wide oval grille through sculpted fenders, to the slope of the roofline that kicks up at the rear pillar with a flirty BMW feel. It’s not as revolutionary as it once was, but the Optima’s shape still impresses more than a family car from half a decade ago. The proportions have been adjusted to draw away from the Optima’s front-drive architecture in the rear-drive Stinger, but there’s no denying a family resemblance between them. Inside, the Optima adopts a dash that wraps less around the driver. It’s better for outward vision, since the dash pushes out more toward the corners and drops lower in front of the driver, but not quite as cockpit-like as it was in the previous Optima. Some lovely luxury touches greet Optima EX and SX owners; the SX in particular gets detailed stitching on its seats and gloss-black trim. It also gets a few Turbo badges that would be better if left off the car’s flanks; it’s not 1985 anymore, as much as we might like it to be. Hybrid and Plug-In Hybrid Optimas get only a few minor badge changes and trim changes. 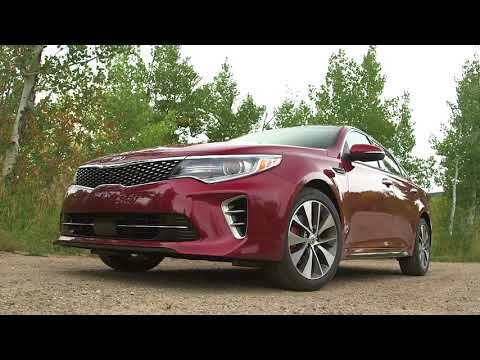 The 2019 Kia Optima softens the sting of the road, with turbo push or hybrid reserve. The 2019 Kia Optima gives drivers a choice of four powertrains (six, including the hybrids), and a passel of ride and handling tunes. In its most popular form, the 2019 Optima keeps a composed grip on the road, but doesn’t get ahead of itself with too much power. It saves that for a swifter SX model—and saves fuel in its gas-electric models. The least adventurous drivetrain fits into the Optima LX and S sedans. It’s a 2.4-liter inline-4 rated at 185 hp, fitted with fuel-saving direct injection. It sends power to the front wheels through a 6-speed automatic. The gearbox and the engine both need to be convinced that anything other than measured responses are in their best interests. The engine turns in peak torque at 4,000 rpm, and it needs to change a couple of gears just to pass on steep inclines. It’s powerful enough, and should be enough for most buyers. In the Optima EX, a 1.6-liter turbo-4 is an option. With 178 hp and 195 lb-ft of torque, it’s coupled to a 7-speed dual-clutch transmission and makes a push for efficiency. It’s hardly pokey—actually, it can feel more responsive than the 2.4-liter engine—but the dual-clutch isn’t decisive enough to make the most of its turbo power. The transmission just isn’t as well-tuned as the same type of gearbox offered by Volkswagen, for one. For a fun drive, the only Optima is the SX. It enjoys a 2.0-liter turbo-4 with 245 hp and 260 lb-ft, and puts it to the ground through a 6-speed automatic. Power comes in strongly at the lower end of the rev range—at 1,350 rpm for peak torque—and paddle shift controls give the driver a direct line to quick downshifts. The Optima SX also has more sound deadening, which quells the engine’s vibrations and noises well. Today’s Optima draws on an independent suspension with front MacPherson struts and a multi-link rear, as it has for a generation or two. 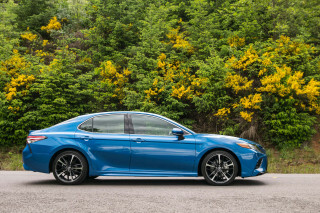 With cushier springs and more elastic front bushings, the current Optima rides more smoothly than it has in the past—and more body lean in corners, which isn’t a major issue with family sedans that don’t pretend to sporty status. All models have a drive-mode selector that can toggle between economy and normal modes, while a sport mode comes on top trims. It’s as billed: In eco mode all the Optima’s responses slow a bit to save fuel, while in sport mode, shift points move higher and shift speeds quicken a bit. All Optimas have electric power steering. In this generation, the setup’s become more progressive and tracks better down the center of the road, compared with older Kia cars. 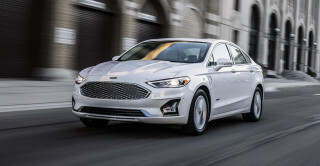 The miserly options among Optimas this year are the Hybrid and Plug-In Hybrid models, which are only available in select markets. They pair a 2.0-liter inline-4 with batteries and electric motors, and send the resulting power through a 6-speed automatic to the front wheels. The engine puts out 154 hp for its part. Hybrids can only draw on power from its 1.6-kwh battery pack to go very short distances on battery alone; under most circumstances the batteries supply power from the engine and lithium-polymer batteries and motors (192 hp net) to smooth out power flow and to eke out more miles per gallon. The battery power tends to smooth out shifts from the automatic, too. Optima Plug-In Hybrids get a larger 9.8-kwh battery pack, and a more powerful electric motor, for a net output of 202 hp. Weight climbs by about 250 lb, but the plug-in can also drive on electric power alone for up to 27 miles. It’s not easy to get it to stay in EV mode, however—the Optima Plug-In Hybrid’s engine will kick in if the driver mats the gas pedal. 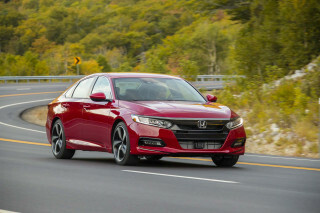 Both hybrids have a smooth and comfortable ride, which gets some help from their heavier curb weight as well as from their more relaxed suspension settings. Rear-seat passengers will want for more head room in the stylish 2019 Optima. Well-appointed and roomy, the 2019 Kia Optima spends a little more energy than most mid-size family sedans at impressing its occupants. Those in the front will think it’s cool; those in the back might think it’s lacking in space. Even in the less expensive trims, the 2019 Optima supports front-seat passengers well with deep bolsters on low-mounted seats that have the right cushioning to support long legs and wide sides. Most Optimas come with power front seats with at least 8-way adjustment, and can be optioned up with cooling and heating and leather upholstery, too. At the top end, the Optima’s diamond-quilted seats look like they belong in another tax bracket entirely. In the back seat, the Optima picks a compromise between space and style, and lands on the latter. The roofline slopes low, and that cuts into the head room it offers to rear-seat passengers. At just under 6 feet tall, a back-seater will make contact with the headliner, particularly if Kia fits the sedan with a sunroof. The Optima’s wide rear doors give easy access to the back seat, though, and three medium-sized passengers will fit across for shorter trips. On the standard Optima, the 15.9 cubic feet of cargo space put it just at our threshold for extra storage points. The rear seatbacks fold down to expand trunk room, too. But on hybrid Optimas, the batteries eat into storage space; Hybrid sedans have 13.4 cubic feet of trunk space, while the Plug-In Hybrid has only 9.8 cubic feet. Kia knows how to outfit a cockpit, and how to dress up a plainer environment with price-sensitive luxury touches. The basic layout inside the Optima doesn’t leave drivers with many mysteries to solve, and it’s fitted with cloth upholstery and metallic dash trim that suits its inexpensive price tag. Spend into the upper ranges and the Optima EX and SX wear leather and get more sound deadening for a more luxurious driving experience. Kia hits the wall in safety—in the best way possible. The NHTSA says the 2019 Optima earns five stars overall for crash protection, with just a four-star score for front passengers holding it back from a perfect set of ratings. The IIHS calls it “Good” in all categories, including headlight performance, which makes the current Optima a Top Safety Pick+. Kia fits every non-hybrid Optima with forward-collision warnings with automatic emergency braking, blind-spot monitors, parking sensors, active lane control, and automatic high beams. 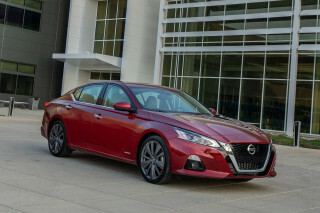 Hybrid and Plug-In Hybrid buyers have to pay for some of those features. Adaptive cruise control is standard on Optima EX and SX sedans, while a surround-view camera system is only an option on the SX trim level. The 2019 Kia Optima boasts a long list of standard equipment, a good warranty, and lots of value. 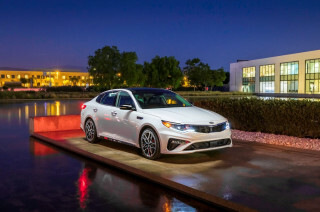 In any of its trim levels—LX, S, EX, or SX—the 2019 Kia Optima excels at satisfying drivers who can spend a little more than frugal Forte owners. The $23,820 Kia Optima LX has all the basics: power features, climate control, cruise control, Bluetooth with audio streaming, keyless ignition, power front seats, 16-inch wheels, and a 7.0-inch touchscreen that runs its infotainment system, with standard Apple CarPlay and Android Auto compatibility. It skips standard satellite radio, but has standard automatic emergency braking on non-hybrid models, which means it’s an excellent choice for drivers that don’t need a bunch of rarely used options. It’s our pick in the lineup. Every Optima gets a 5-year, 60,000-mile warranty, with 10 years or 100,000 miles of powertrain coverage. Last year Kia added a new trim level. The $25,820 Optima S has the same inline-4 as the base car, but gets 17-inch wheels (with an option for 18s), its own front and rear spoilers, and 10-way power front seats, with an option for a twin-pane sunroof. For slightly better handling, it may be worth the upgrade for some drivers. The $27,720 Optima EX gets the 1.6-liter turbo-4 and adds dual-zone climate control, woodgrain trim, and leather upholstery with heating for the front seats. 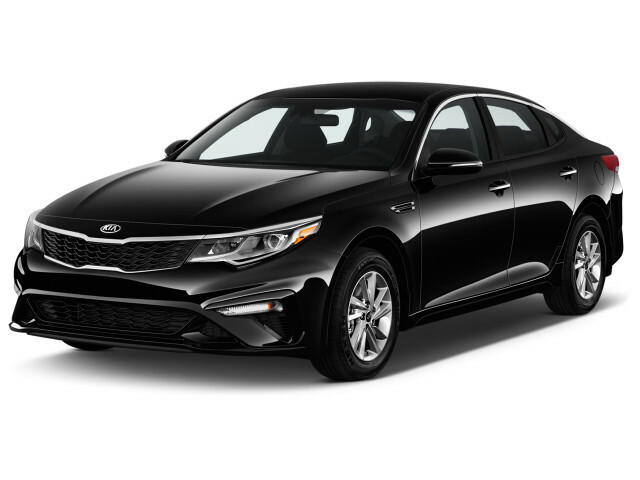 At the top of the range, the $32,820 Optima SX sports a 2.0-liter turbo-4 as well as an 8.0-inch touchscreen, 18-inch wheels, LED headlights, gloss black trim, cooled front seats, adaptive headlights, and keyless ignition. A surround-view camera system is available. The 2019 Optima Hybrid comes in just one trim level, the $28,815 EX. It has 10-speaker Harman Kardon audio, leather upholstery, power front seats, and a heated steering wheel. The same holds true for the $36,210 Optima Plug-In Hybrid. Their improved fuel economy merits a look, but with higher prices that don’t include automatic emergency braking, and limited availability, we’d advise shoppers to pick a gas-only Optima. The 2019 Optima posts middling fuel economy ratings—but hybrids up the ante. The 2019 Kia Optima draws power from 4-cylinder engines, which gives it average gas mileage. But some of its engines team with batteries and motors, and those versions sip much less fuel. The Optima S sports the most popular engine in the sedan lineup. The 2.4-liter inline-4 earns an EPA rating of 24 mpg city, 33 highway, 27 combined. With more efficient tires and less standard equipment, the Optima LX gets better fuel economy, at 25/35/39 mpg. The most efficient non-hybrid Optima is the EX sedan, with its 1.6-liter turbo-4 and EPA ratings of 27/37/31 mpg. Kia’s other turbo-4, a 2.0-liter unit in the Optima SX, is more performance-oriented, and its EPA ratings drop to 21/30/24 mpg. Among the electrified models, the 2019 Optima Hybrid checks in at 39/45/41 mpg; Plug-In Hybrids are rated at 40 mpg combined, but at 103 MPGe with a full battery charge. In electric-only mode the plug-in Optima delivers less than 29 miles of battery-only driving range. The fuel economy’s good, but Kia only sells these electrified versions in some western states (Alaska, Arizona, California, Hawaii, Idaho, Montana, Nevada, Oregon, Utah and Washington).